Have you had enough of winter joys and have started to dream about the sunny days? Although Summer seems far way, head to the Adriatic in March! Turn a weekend vacation on the Adriatic coast into an escape from the hectic cities and gloomy days. The weekend starts already on Friday and March is a great time to enjoy the awakening of nature. The beauty of the Adriatic in March and the warm sunny days will also wake you up. 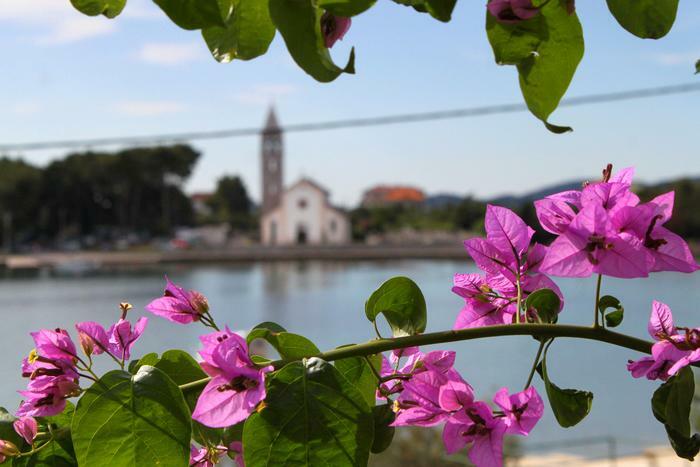 For the perfect vacation-weekend Istria, the Croatian Toscana, offers nice wines, a beautiful landscape and a truffle oasis, but it is up to you to decide whether to enjoy in ancient Pula, the historical variety of Poreč or the peaceful towns of green Istria. The 12 kilometer walkway of Opatija will revitalize your body, and the Austro-Hungarian charm will refreash your soul. The Kvarner islands Krk, Rab and Pag reveal a gastronomic delight and an untouched flora and fauna. The waterfalls in the Plitvice Lakes National Park and the National Park Krka are the right places for a weekend vacation. The melting of the snow cover is a relaxing experience that will melt your everyday troubles. The metamorphosis of the ice world into a spring fairytale will fascinate you and make you wish to see the spectacular waterfalls during all the seasons. Lower prices of accommodation during low season is another reason to hurry on a weekend vacation on the Adriatic and enjoy the sunny days in March with no summer crowds of tourists.